Madeleine McCann’s parents will store the royalties from a book sale in a restricted fund for a ‘rainy day’, it has been reported in The Sun. 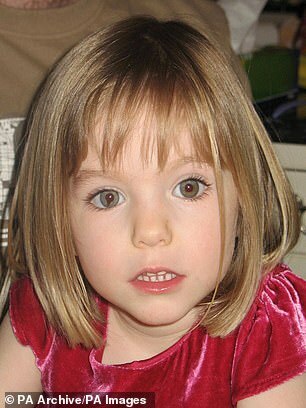 Royalties of around £84,096, which came from Kate McCann’s book ‘Madeleine’, will help the couple in their search for their missing daughter, with a total £85,899 being transferred to the fund. The money will also help the couple in their legal battle against former Portuguese police officer Goncalo Amaral. The best-selling book was written in 2011 to help raise more funds in the hunt for Kate and Gerry McCann’s daughter. A source close to Madeleine McCann’s parents told The Sun: ‘That money goes into a special account for a rainy day. 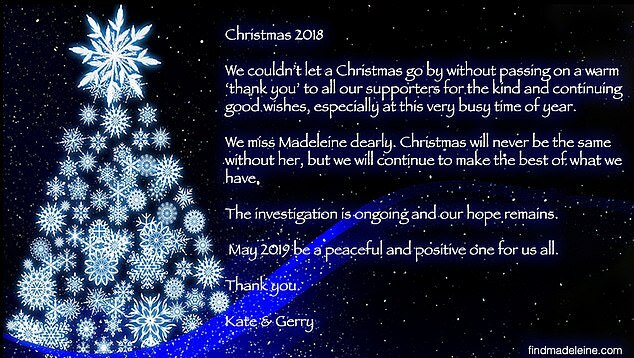 Following their daughter’s disappearance, Kate and Gerry McCann set up the foundation ‘Find Madeleine – Leaving No Stone Unturned’ to manage donations given to help find her. This week, according to latest accounts filed this week to Companies House, it was reported the couple had been rewarded with assets to the Maddie Fund of £822 382. This has soared from £727,508 in the last financial year to the end of March 2018 by £94,874. Kate McCann has now donated £84,096 in royalties, taking the firm’s private profits to £823,332, reports The Mirror. It has remained a best-seller ever since with thousands fascinated by the mystery of her disappearance from the family’s hotel room in Praia da Luz in Portugal in May 2007. The private funds the family have donated to the search are on top of the £11.75million in public money officials have granted them so far. 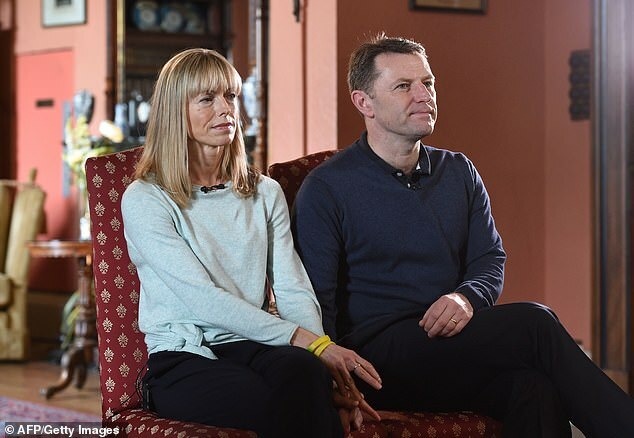 At Christmas the McCanns said they will never give up on her, vowing to continue the search until they find answers. On a Christmas card posted online, the couple of Rothley, Leicestershire, wrote: ‘We couldn’t let a Christmas go by without passing on a warm thank you to all our supporters for the kind and continuing good wishes, especially at this very busy time of year. ‘We miss Madeleine dearly. Christmas will never be the same without her, but we will continue to make the best of what we have. In November the Home Office agreed to give another £150,000 to detectives investigating Maddie’s disappearance. It takes the amount of public money used on the probe to £11.75million. It gives ‘Operation Grange’ the capacity to continue until at least March 2019.